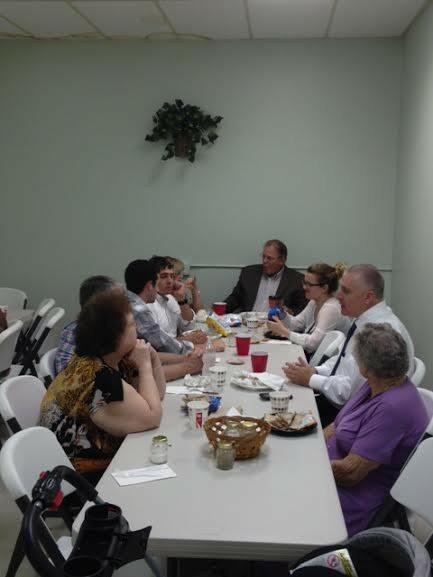 The members of TRBC represent a wide variety of people of all ages from all walks of life. The common thread that binds us together is our love of the Lord Jesus Christ and the Bible. Anyone who visits will quickly see this love in action in the caring and welcoming spirit of our members. It is our desire that any of God's children in our area would be able to feel at home in our church body. Sundays are our formal day of worship. Everyone is welcome to attend one of our adult or children Sunday School classes before we gather in our main auditorium for the Morning Worship service. Feel free to dress formally or casually, but the main focus of the service is the Word of God, so we encourage everyone to come and be changed by it. After some brief announcements, we sing a few hymns, then the pastor delivers his sermon which is almost always expository. 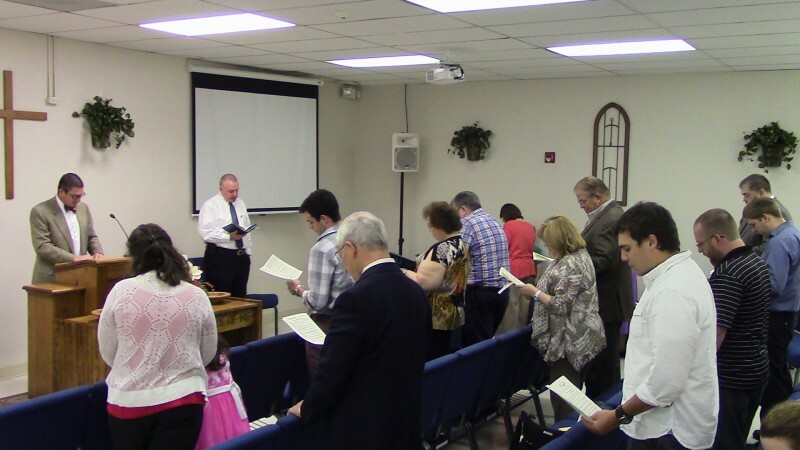 After the sermon, we sing a few more hymns and dismiss to our fellowship lunch which takes place immediately after the Morning Worship Service. After lunch, we reconvene in the main auditorium for a brief afternoon service consisting of a couple of hymns and a short Bible lesson. After the afternoon service, we dismiss for the day so that everyone can go home and be with their families without having to come back a few hours later. Our mid-week meeting on Wednesday evenings is an informal service consisting of prayer and a short Bible lesson or study. Everyone dresses casually and some are in their work uniforms as they come straight from work. Our Wednesday evening meeting is especially encouraging as it is a time to share how the Lord is working in our individual lives. Praises are lifted up and prayer requests for various concerns are brought to the congregation's attention.